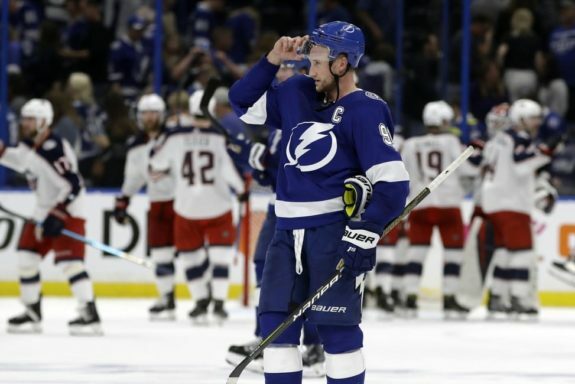 TAMPA, Fla. — Matt Duchene had a goal and three assists, Sergei Bobrovsky made 23 saves, and the Columbus Blue Jackets stunned the Tampa Bay Lightning 5-1 on Friday night to take a 2-0 first-round series lead. Columbus also got goals from Cam Atkinson, Zach Werenski, Riley Nash and Artemi Panarin. The Blue Jackets started the post-season last season by winning the first two games of the first-round series with eventual Stanley Cup Washington, which won the next four games. 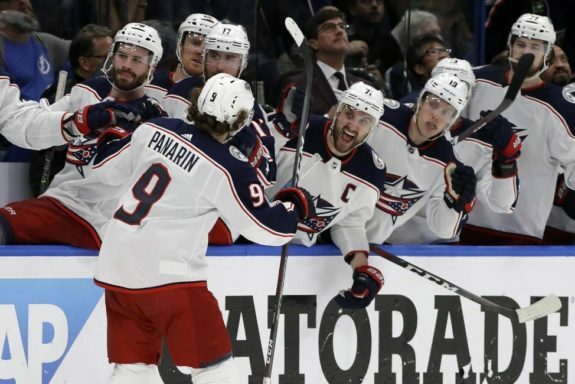 Duchene assisted on both Columbus goals during the first period and put the Blue Jackets ahead 3-0 on the power play when the centre scored on the rebound at 1:28 of the second after Vasilevskiy had stopped his tip-in try. The Lightning got within two goals at 3-1 when Sergachev’s shot went into the net off Blue Jackets defenceman Markus Nutivaara’s skate five minutes into the third. But, Nash and Panarin scored goals over a three-minute span midway through the period. NOTES: The Lightning outscored Columbus 17-3 in sweeping all three games between the teams in the regular season. … Tampa Bay D Anton Stralman (lower-body injury) sat out his third consecutive game but took part in the morning skate. Lightning coach Jon Cooper is non-committal about when Stralman will be back. … Lightning RW Ryan Callahan and D Braydon Coburn were healthy scratches for the second straight game. … Tampa Bay scored 325 goals in 2018-19, the most by any team in 23 years.